Virtually no one in the United States approves of the Republican Party’s fiscal priorities (beyond the donors and interest groups who dictate them). The notion that the federal government should not intervene in the health-care market to guarantee universal affordability — which is to say, that it should not make the healthy and rich subsidize care for the sick and the poor — is deeply unpopular. Most Americans would rather violate the tenets of Ayn Rand’s philosophy than allow insurance companies to condemn working-class cancer patients to preventable deaths. For these reasons, when Republicans tried to sell the public on their “make health care less affordable for the many, so as to make equities more valuable for the few” agenda last year, they did not describe it in those terms. Rather, most opted to grossly misrepresent what their policy goals actually were. Take Trump’s first Health Secretary Tom Price. In advocating for the president’s health-care bill last June, Price insisted that the goal of the legislation was to bring down health-care costs for all Americans (as opposed to clearing budget space for supply-side tax cuts). As an example of how the bill would accomplish this, Price cited its repeal of Obamacare’s individual mandate. Now, the individual mandate was one of the few genuinely unpopular parts of Obamacare. 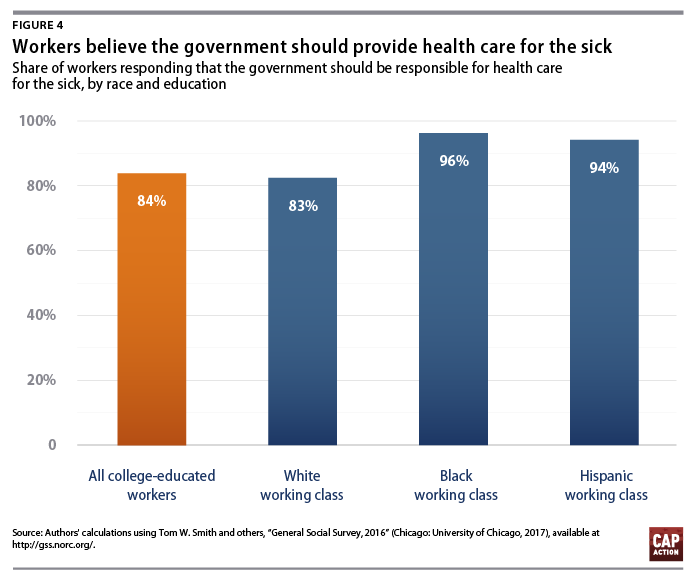 But there is broad public support for the policy’s core function: By imposing a tax penalty on adults who went without insurance, the mandate encouraged healthy Americans to enter the insurance marketplace, and thus, helped bring down premiums for the sick. Former Health and Human Services Secretary Tom Price used to say that Obamacare’s individual mandate increased health-care costs. Now he’s saying Congress’ decision to repeal it could actually increase costs. Right now, Dave Dillon with the Society of Actuaries is projecting a 2.5 to 7.5 percent increase for 2019 rates because of the mandate’s repeal. The Urban Institute, combining the mandate’s repeal with President Trump’s expansion of skimpier short-term plans, estimates that premiums will rise by nearly 20 percent on average nationwide. And Republicans were no more forthright in their arguments for the Trump tax cuts. The president and his party insisted that their number-one priority on tax reform was to help the American worker. To reconcile their “middle-class tax cut” branding with their bill’s regressive substance, Republicans insisted that showering cash on corporations was the most efficient way to stimulate job creation and wage growth. Marco Rubio voted for a bill that was sold on these terms — after campaigning for the presidency on a plan that was broadly similar. 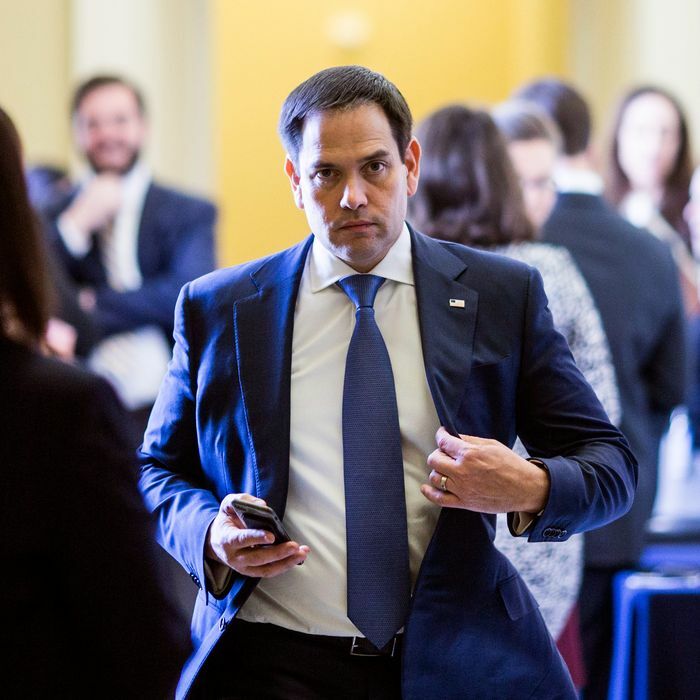 In an interview with The Economist last week, Rubio confessed that the official rationale for his party’s corporate tax cut was bogus. A Bloomberg analysis found that about 60 percent of tax cut gains will go to shareholders, compared to 15 percent for employees. A Morgan Stanley survey found that analysts estimate 43 percent of tax cut savings will go to stock buybacks and dividends, while 13 percent will go to pay raises, bonuses, and employee benefits. Just Capital’s analysis of 121 Russell 1000 companies found that 57 percent of tax savings will go to shareholders, compared to 20 percent directed to job creation and capital investment and 6 percent to workers. Surely, Rubio’s inconsistency on this score wasn’t the product of cowardly mendacity, but simply an honest mistake: After all, it’s not like there were any historical precedents the Florida senator could have consulted before parroting his party’s supply-side gospel last year.